August 15, Independence Day, is celebrated in a mood of joy and happiness- no rituals, just festivities. It is also a national holiday, with educational institutions, private and government organizations remaining closed, but for official celebrations in the morning. India will complete 69 years of Independence from the colonial rule in the year 2015 and will celebrate it s 69th Independence Day. Schools and colleges mark the day with cultural activities, drills, flag hoisting and distribution of sweets. Government as well as private organizations celebrate it similarly. Families and friends get together for lunch or dinner, or for an outing. Housing colonies, cultural centers, clubs and societies hold entertainment programs and competitions, usually based on the freedom theme. The Prime Minister of India sets the mood by hoisting the national flag and addressing the nation from the Red Fort, the historical monument in Delhi. This is accompanied by a march-past of the armed and police forces. Similar ceremonies are held in all the state capitals. The Prime Minister s address and the march-past are relayed live on national television. 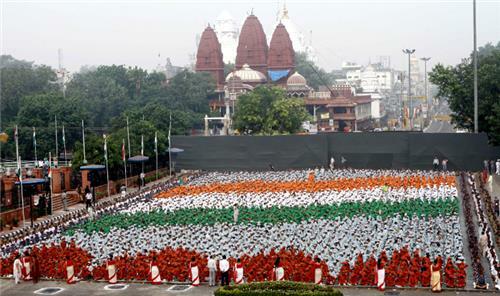 In cities, one sees a sudden burst of saffron, white and green, the Indian tri-colour. The media goes to town with a variety of contests, promotions and programs related to Indian independence. Television channels show patriotic movies and relentlessly play patriotic songs from old and new Hindi movies. Billboards on roadsides for different brands pay their tribute to the nation. Everyone seems to have something going for them. Shops and petty tradesmen sell a range of Independence Day merchandise such as flags, stickers, tee-shirts and greeting cards. Street urchins hawk paper and plastic flags and tri-coloured balloons to motorists at traffic signals. Though a trifle commercial and jingoistic, what lies beneath the celebrations is the national spirit of gaiety, pride and hope for a better future. A spirit and hope that is renewed each year. On the morning of August 15, the Prime Minister addresses the nation from the ramparts of the Red Fort in Delhi. In his speech, he highlights the achievements of the country during the past year and gives a call for further development. He also pays tribute to leaders of the freedom struggle. Independence Day should not merely become a part of our holiday list. There should be serious efforts in educating the future generations about the struggles which the freedom fighters underwent to give us the freedom that we enjoy today. There has to be a concerned effort by everyone to make available the lives and teachings of the sons of the soil, who sacrificed their all, so that we could enjoy the freedom. Whole of India celebrates Independence Day through several programs like kite flying, cultural shows and celebrations in schools and colleges. There is a tradition of flying kites on the Independence Day. The sky is dotted with hundreds of colourful kites and people engage in kite-flying competitions. 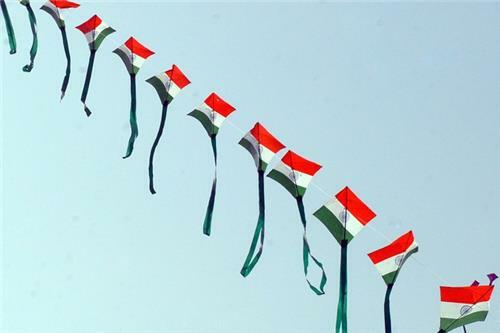 Kites painted with the three colours of the national flag are a hot favorite. Balconies and roof-tops of houses are full of people flying kites and one can hear cheerful shouts of children in the evening as the kites soar in the sky. 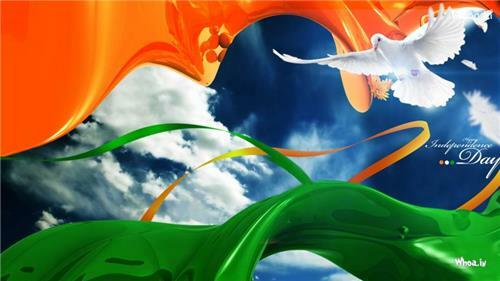 Independence Day is a national holiday and the television channels treat their audience with patriotic films and songs. Cultural programmes featuring classical music and dance performances by top artistes are organized at several places. Television Channels provide a Live Coverage on the occasion and Radio Channels give the live commentary for the general masses. Independence Day, August 15, commemorates the day in 1947 when India achieved freedom from British rule. It is celebrated with flag hoisting ceremonies and cultural programs in the state capitals. The Prime Minister s speech at the Red Fort in Delhi is the major highlight. All Government Organisations have a holiday as 15th August is a National holiday. In the capital New Delhi most of the Government Offices are lit up. In all the cities around the country the Flag Hoisting Ceremony is done by politicians belonging to that constituency. In various private organisations the Flag Hoisting Ceremony is carried out by a Senior officer of that organisation. On Television, various Independence related programs are telecast, reminding us of the hard times faced by the freedom fighters. In almost all the schools and colleges around the country, no academic work is done on this day, but all the students and staff members gather in their respective institutions to celebrate Independence Day. 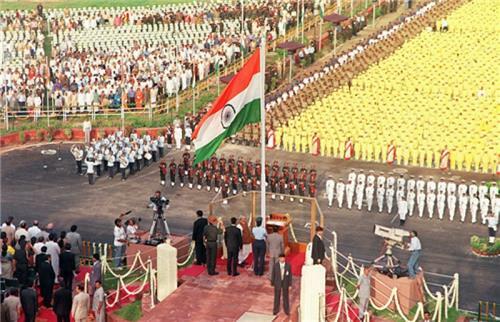 The flag hoisting ceremony takes place followed by the National Anthem. After this various cultural activities like folk dances, skits and dramas are held in schools and colleges and the celebration continues till late evening. Independence day of India is celebrated everywhere where there are Indians living. After all, you re an Indian and will always be an Indian no matter where you live. On this day, the Indian embassies situated in various countries like, London, USA, Australia etc.organize functions and cultural events on the 15th of August. Celebrations differ from place to place, depending on the population of Indians in that region. NRI s and Indians immigrants gather together, and flag-hoisting ceremonies are organized and everyone joins in to sing the National Anthem, Jana Gana Mana. NRI s who have accomplished or achieved something worthwhile are acknowledged. 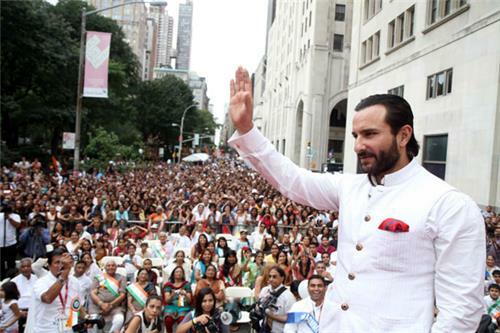 In New York, because of the high density of Indian Population, Independence Day has been given the name "India Day". It celebrated with great fervor with pageants, celebrations and other cultural events. Its usually celebrated either on the 15th August or on the closest weekend, depending on the day it falls on. The only difference in celebrations abroad and in India is that, India has a national holiday on Independence Day. However, the feeling of patriotism and the pride for our nation doesn t lessen or change, no matter which part of the world we are in.